Japan is often thought of being some super high tech, city of the future. This is how I envisioned Japan when I was younger and is the image we are often exposed to on TV. There are many areas where Japan, especially Tokyo, is way ahead in incorporating new technology (touch-screen vending machines or menus anyone?) and there are places where it is still very much behind. Jamie has written a very interesting article on this topic! The article touches on whether Japan is really an image of the future and paving the way for the perfect 21st century metropolis, something that it is often idolized as being, or not. I know I though Japan and specifically Tokyo was the image of the future, and it is with that feeling which I decided to write this article. My biggest personal qualm with Japan is its almost total lack of public wi-fi. This shortcoming also very inconvenient for tourist in Japan and is something that they must improve for the Tokyo Olympics.In a recent survey they actually found that the No.1 thing people who visited Japan struggled with was the lack of internet at 23.9%, this being ABOVE communications problems or language barriers at 17.5%. In fact, Japan’s entire concept and experience towards the ‘internet’ seems to be very different to what we have experienced in the west. Much of the reason why there isn’t free public internet I believe is due to how mobile phones were introduced and used. Bear with me! Mobile phones with internet capabilities were widely available in Japan from 1999 with those who used mobile phone internet reaching around 51,930,000 people in March 2002! That was around 75.1% of all mobile phone users and just 3 years after the feature had started to be introduced. Impressive stuff ey. However this ‘internet’ is much different to the internet we are used to today. The mobile phones at the time having limited functionality – a simple web browser and ability to use e-mail. Perhaps the most famous was something called i-mode, which was introduced by the mobile phone company NTT Docomo. The other phones companies also offering their own version Au had EzWeb and Softbank had Yahookeitai, but i-mode paved the way and offered it for only about 300yen a month! You’d be crazy not to have it. At a time when personal computers were pretty damn expensive everywhere anywhere in the world, a phone that could handle internet and e-mail was a god send, especially for teenagers and people that didn’t want to splash out for a high cost computer. Mobile phones were becoming so popular that they made a new buzz word to describe the young people that used them ‘Oyayubizoku’ big thumb family (doesn’t sound AS stupid in Japanese, I promise). The reasoning for the word being that when people used the internet and mail on their phone, their big thumb would predominantly be used and be flying all over the play. TBH not much has changed, apart from the fact everything is more of a slide motion. Long live touch screens! Ok, so what has this got to do with public wi-fi? Well the point I wanted to make was that Japan has had a MUCH longer history of people using their mobile phones for the internet and e-mail. This means that even when wi-fi was being introduced many didn’t (and many still don’t) feel the need to introduce it into their homes due to the fact that they could use their mobile phones for any kind of internet on the go, so a wired connection at home isn’t a big deal as it could never be truly ‘mobile’ anyway. Especially considering that the time everyone is spending at home has been decreasing since the 70s with time at school, jyuku (after school study) and work has been increasing(Japanese source: Here is a report by NHK that shows data on this, page 32 is specifically about the time spent at home decreasing). In fact this concept of being ‘wired’ at home is only increasing with the introduction of fibre optic internet. In most of the major electronic stores you will see MASSIVE campaigns for fibre optic internet. In Tokyo at least there is a big push for a take up of this ultra high speed internet. Compared to other countries such as the UK and America it is a lot cheaper to set up and use here too. The government offering tax incentives to companies to help increase increase installation and adoption of fiber optic internet. Sony owned provider actually supplying the world’s fastest internet here in Tokyo apparently. Outside of the house , now that many mobile phones with built-in wi-fi and full internet browsers (hello iphone!) were being introduced wi-fi made a lot of sense to phone companies, as wi-fi could help increase the access speed of the internet for the mobile phones and ease the load on the network. After all they required much more data than the simple days of i-mode with it’s ‘simple’ internet. The first company to introduce the iphone into Japan was softbank (the guys with Yahookeitai) and they had a monopoly on it for around 3 years, it also during this time that they started spreading their softbank wi-fi spot. See the mark below? If a building has that on it then it has softbank wi-fi baby. Softbank claiming to have the highest number of wi-fi hotspots, more than 300,000 apparently. The only catch? If you mobile phone isn’t from softbank then there ain’t no way in hell you are accessing that wi-fi. That sounds like a fair claim. However once you realize that the main companies that are spreading these wi-fi hotspots are phone companies that want you to be on their network you realize that it is extremely restrictive if you aren’t a customer of either of the mobile phone companies. While in the UK you could get around this problem by just getting a pre-paid mobile phone and sim card, in Japan pre-paid essentially doesn’t exist, it all contract here guys. Softbank are actually the only main phone companies that offer pre-paid mobile phones but as they can only be used for sms, mail, calling or simple internet (no wi-fi or full browsers in these 90s throw backs) also you are not able to connect to the 1,000s of softbank hot spots either. As 99% of Japanese users of mobile phones in Japan are on contract anyway, this concept of ‘members only’ wi-fi probably doesn’t seem that restrictive to them. The remaining non-mobile phone company hotspots are almost exclusively paid, not even offering a 20 min free hook up either. It’s not totally doom and gloom though, Starbucks are paving the way for free internet (though you still have to register) and some convenience stores also offer free registered-wi-fi but it definitely can’t be referred to as wide spread. Also in the case of the convenience stores, often the explanations will be in Japanese which won’t really help any tourist that are there to visit and can’t read Japanese. What has been growing in popularity these last few years at a phenomenal rate is ‘pocket wi-fi’ sounds awesome right? That’s because it is. Now technically pocket wi-fi is nothing new or exclusive to Japan, even in the UK the mobile company three had this little dongle that used 3g for portable internet (except it was pretty crap in every way) and now with tethering on mobile phones, the idea of just beaming out wi-fi from a device that receive cellular signal isn’t groundbreaking. 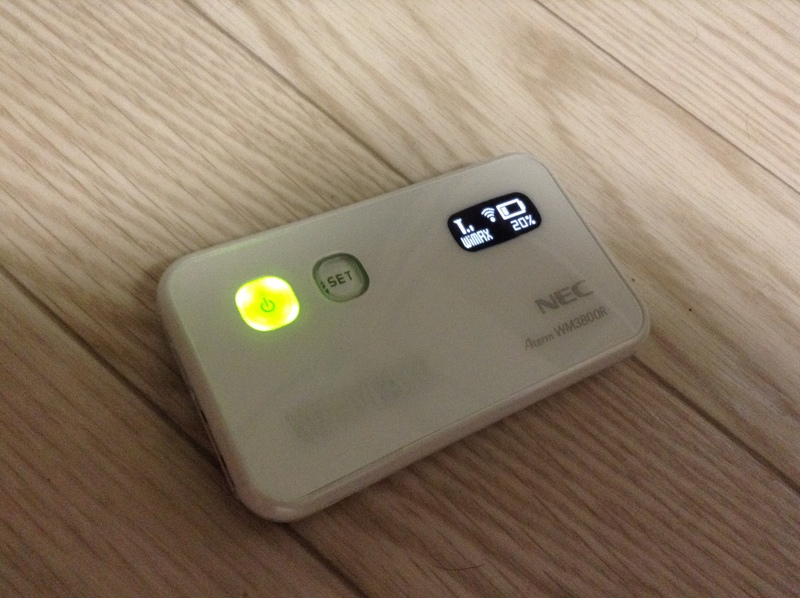 What is groundbreaking though is the fact that the pocket wi-fi in Japan is generally very fast, reliable and cheap. My own device offers unlimited data transfer (upload/download), 10 hours of continuous battery life, 10 devices to be connected at once and an average speeds of around 3mb/s. 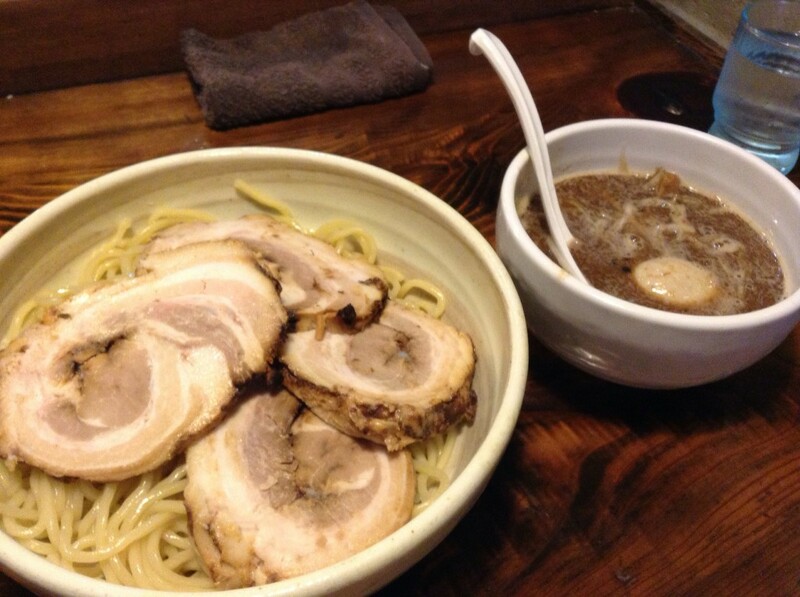 All for 3880yen a month which is cheaper than any mobile phone company can offer. Also there is no stress of line fees, installation or maintenance. DAMN I think I’m selling this thing better than the companies own sales people. I should work for commission. For those interested this the homepage of the guys I use. I love it and so do many people in Japan. If you just try to search for a wi-fi connection on say a train (where the only wi-fi is going to be the portal pocket wi-fi) you will find dozens of networks. All of cause personal and password protected. Wi-fi is literally everywhere you go in Japan. It is beaming out of shops and people’s bags at every hour of every day. No doubt if data was actually visible it would be almost impossible to see 1 meter in front of you. Despite all this though, the wi-fi which is actually accessible with no strings attached (free of charge or non-afflicted with a phone company) is almost impossible to find. It is almost ironic that due to the initial mass popularization of mobile internet via mobile phones, the entire need for free public wi-fi has been compromised. While for the average person that lives in Japan this short coming doesn’t even register as a problem, for people that are visiting from abroad or don’t have the means to buy a mobile phone or pocket wi-fi (you need a ‘residence card’ in most cases) this is a massive problem. Especially consider that via using the internet may of the communications problems that were the No.2 biggest difficulties for tourists could be avoided as well. Online dictionaries and maps being especially useful. Hello two birds once stone. With around 7 years until the Tokyo Olympics it is realistic that some kind of solution will be introduced. That is still no excuse though. The fact that coming into 2014 there is essentially no public wi-fi in Tokyo, which is often idolized for being the symbol of ‘the modern city’, is just crazy. It just doesn’t end at wi-fi either check back next week where Salaryman X will dive a heck of a lot deeper into this high-tech\ non-hi-tech Japan paradox. Anyone had experience with wi-fi in Japan? Actually found it to be no problem or was it a nightmare for you too? Let me know! This entry was posted in Life, Luke Palfreeman and tagged free internet in Japan, internet in Japan, mobile phones in Japan, pocket wi-fi, public wi-fi, wi-fi in Tokyo, wireless internet on December 20, 2013 by wijapanc.